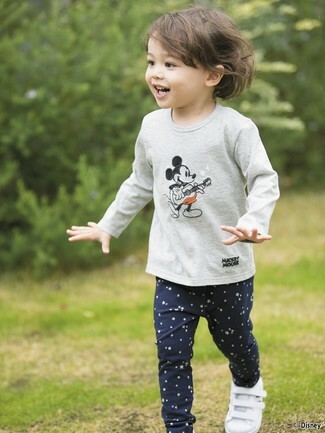 Suggest that your daughter choose a grey print long sleeve t-shirt and gb girls big girls 7 16 active star printed leggings for a laid-back yet fashion-forward outfit. This look is complemented perfectly with white sneakers. 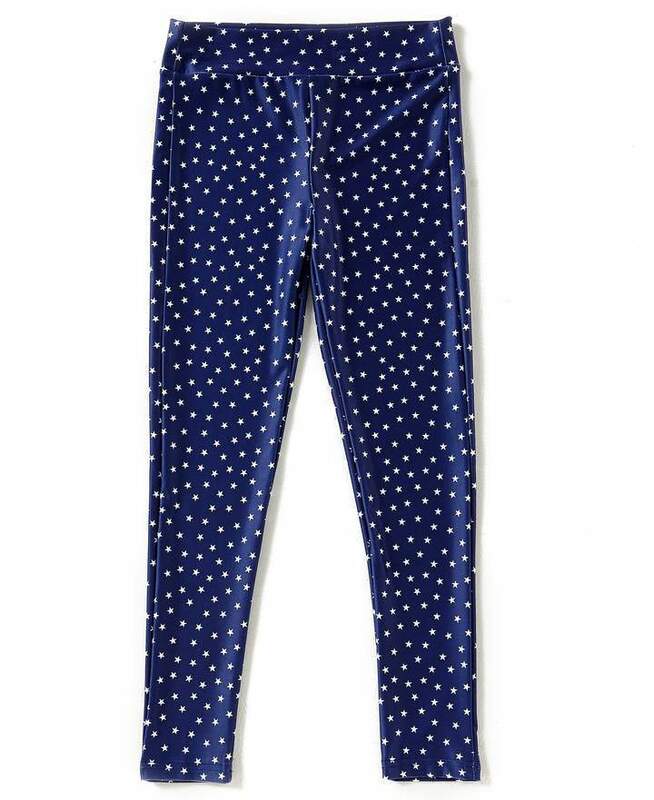 A white gilet and navy star print leggings are a nice outfit for your mini fashionista to wear when you go on walks. Gold sneakers are a savvy choice to complete this ensemble.